My good friend and colleague Lucy Mayo, recently introduced me to Letterfest and it is now my latest obsession! 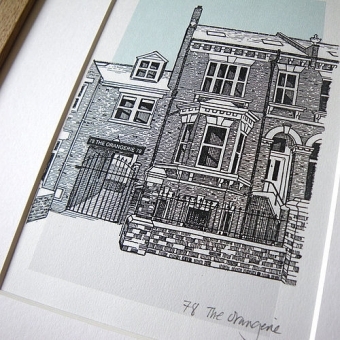 The charming company specialises in bespoke gifts with heartfelt meaning. Wendy Harrison, the creative brains behind the brand specialises in personalised gifts, keepsakes and art. The company is based in North Devon and was set-up just over 3 years ago. launching on a local level initially, Wendy decided to expand the business by working with notonthehighstreet.com which is where I found her. Since joining the site, demand rocketed from 10 commissions a week to suddenly over 90 a week. Since then, the company has steadily grown year on year in profit and in product range. 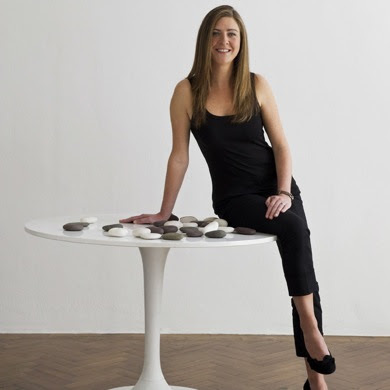 So much so that in 2011, Wendy and her team were awarded the notonthehighstreet.com Award for Creative Business of the year and were the first partner to exceed a million pounds turnover - impressive or what?! I'm constantly looking for new and quirky present ideas for friends and family and Letterfest embraces that. There’s nothing more touching than receiving a gift from a friend that you truly love and especially one that has personal sentiment and meaning to it – it shows that they really know you and have thought hard about what would make you smile. Letterfest specialises in a number of bespoke products which are definitely going to become my go to gifts for special people to mark Birthdays, weddings, babies and anniversaries. My absolute favourite Letterfest products are Wendy's gorgeous hand painted illustrations. Starting from just £30, Wendy will sketch or produce a detailed illustration from a photograph that you provide of a house, favourite place, pet or car. If your best friend has just got engaged under the Eiffel Tower, send one of her snaps from Facebook to Wendy and you have the perfect engagement gift. If your Mum reminisces about the holiday cottage in the Lake District that she spent every summer in as a little girl, send Wendy a copy of the curling photograph she has of it and she'll have a perfect piece of nostalgia to hang on the wall. Choose a graphic background of red, blue, green or yellow, or natural (sage green grass, stone grey path, duck egg blue sky etc) to compliment your illustration. Maybe select colours that go with a particular home decor colour scheme. Your beautiful illustration will wing its way to you in seven to ten days or if you're in a mad rush opt for express delivery and it'll be with you in just three days. Tell us what inspired you to start 'Letterfest'? I'm a graphic designer who loves typography and wanted to set up my own business with products I've designed myself. I wanted to use local materials and craftsmen where possible, yet bring these traditional methods such as stone carving up to date with clean, contemporary design. One bottle of wine is never enough. What advice or words of wisdom would you give to an aspiring business entrepreneur looking to set up a business? Research your product and intended market - are you producing something new that isn't available elsewhere? Where will you sell it? How will customers find you? Think national, global, then worry about how you can fulfil all the orders. I think I'd give all the girls that work with me a holiday then fly to Sydney to see my best friend who's just had her second baby. Caitlin Moran - I've just read "How to be a Woman" and thought it inspired.